medium rotation ⟳: Cover Your Tracks: "All About Our Love" by The Radio Dept. Cover Your Tracks: "All About Our Love" by The Radio Dept. It's probably going to turn out to be true that there really is a time and place for everything. I happen to have a soft spot for soft rock, especially anything on adult contemporary AM radio between 1976 and 1983. I do not, however, have a soft spot for smooth jazz, though can I imagine it has its uses, at least in dentists' waiting rooms. Smooth soul I can usually do without; I've never really gotten Roberta Flack, and most 80s smoove soul leaves me cold. 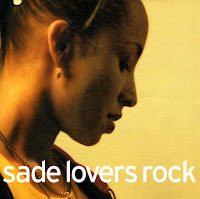 But it's hard not to like the soothing sounds of Sade. I'm not a huge fan (are there huge Sade fans? ), but her best tracks summon a willowy, calm mellowness that somehow takes the elevator (music) to the rooftop patio. She has other uses, too: 1992's Love Deluxe is one of the all-time great makeout records, even if at times you feel like you're making out at The Limited. This cover of Sade's "All About Our Love" is why good covers make life better, why b-sides rule, and why collectors (sometimes) have more fun. The Radio Dept. are a Swedish indie pop band whom I only recently discovered (thanks to my girlfriend and her excellent taste). Their cover takes Sade's sweet, gentle original out for a cup of tea with the Pet Shop Boys. Their new record, Clinging To A Scheme, is as excellent as their others, Pet Grief and Lesser Matters, but to be honest, they have yet to release a dud track, and their singles and EPs are all terrific. If you like New Order, or any band from Scotland, you will love them. Labels: Sade, The Radio Dept.